One who takes care of a member of his or her family, often a senior parent or disabled relative; someone who is responsible for attending to the daily needs of another person. 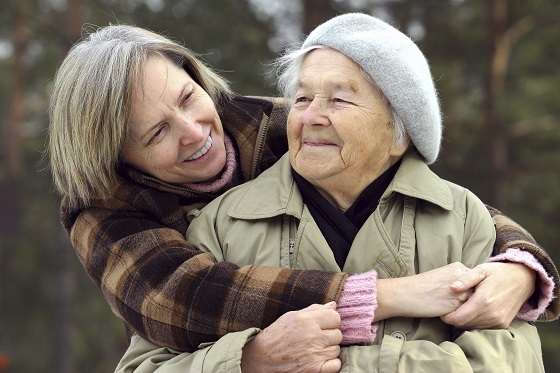 According to an AAPR Public Policy Institute study, the average U.S. family caregiver is a 49-year-old woman who provides unpaid care of nearly 20 hours per week to her mother for nearly five years. The life of working family caregivers can be difficult. Caring for a loved one while also working a paying job is time-consuming and it’s physically and emotionally demanding. The many challenges and distractions of caregiving also can reduce worker productivity and oftentimes impact one’s health. All of this can impact employers. More than 40 million American workers are caring for loved ones over the age of 65. Six in 10 are balancing these caregiving responsibilities with full- or part-time jobs. Home care services can be a valuable solution. Hiring a professional caregiver can allow family caregivers to retain their paying job and remain productive while on the job. Obviously, this also helps employers because it can reduce the chance of an employee missing work, and it can help ensure employees maintain good mental and physical health. According to the Home Care Association of America, there are several ways in which the many senior care responsibilities of family caregivers can impact worker productivity and increase costs for employers. Work suffers. More than 60 percent of family caregivers report making work accommodations due to family caregiving responsibilities, including taking a leave of absence, arriving late, passing up a promotion or retiring early. Health suffers. Less than 50 percent of family caregivers report being in very good health, while one in five feel their health has gotten worse because of caregiving. Among caregivers that provide more than 21 hours of care per week, 46 percent report high emotional stress. This can result in increased health care costs for employers. Employees who are family caregivers drive up employers’ health care costs by 8 percent on average, potentially costing U.S. businesses more than $13 billion. Productivity falls off and employers pay. In a recent study, 25 percent of working family caregivers reported missing an average of 6.1 hours of work the previous week due to caregiving responsibilities. Estimated productivity loss while at work due to caregiving responsibilities surpassed 18 percent. Costs associated with caregiving – including the need to replace employees, absenteeism, workday distractions and reductions in hours – all impact employers. Hiring professional home care can help. FirstLight’s non-medical home care solutions provide support to families by offering a wide range of needs and resources to help their loved ones maintain quality of life. Companion Care provides companionship through regular visits, as well as medication reminders, light housekeeping, laundry services, errands and transportation. Personal Care aids with activities of daily living, such as bathing and hygiene, walking and mobility, transfer and posturing, special diets and meal preparation. Respite Care allows family caregivers to take vacations or time for themselves, while FirstLight professionals ensure loved ones are cared for. Dementia Care provides personalized care plans to help dementia sufferers and their families cope with the anxiety, confusion and isolation that are often associated with the disease. Are you a working family caregiver juggling many roles and responsibilities? We’d love to hear your story. Comment here or head to our Facebook page to join the conversation. Contact us to find out how our family can help yours.